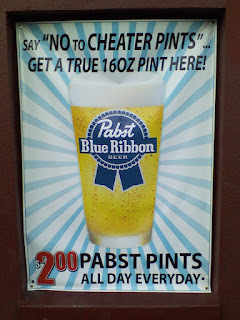 Well, they didn't use the term Honest Pint, but I like the anti-cheater pint sentiment, even if it is just to make sure you get a full pint of PBR. I was a little surprised to see this sign up outside a neighborhood bar, but I'm glad news of the cheater pint menace has gone mainstream. Here's an old post with photographic evidence that a cheater pint plus a reasonable amount of head on the beer is really just a 12-ounce pour. 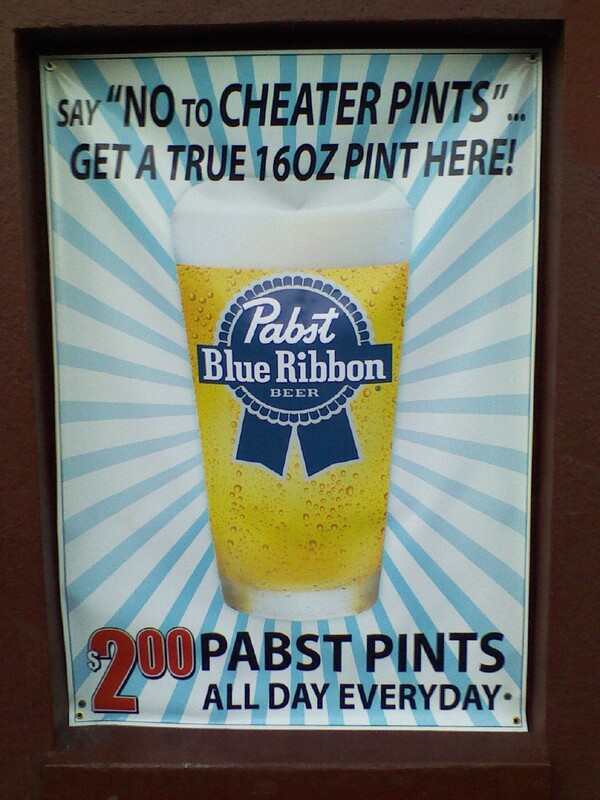 Join your Pabst-drinking hipster brethren in saying "no" to cheater pints! Now I can sleep tonight, knowing that those loser Hipsters begging for change down at the Saturday Market will be able to turn in all that spare change and get an Honest Pint of cheap nasty Pabst. All right here in Beervana! Brings a tear to ones eye! Thanks for leaving a comment! I will delete spam and long stupid comments. Comments that are smart or short will survive. Please tag anonymous comments with your name, initials, or CB handle so that people can respond to you.